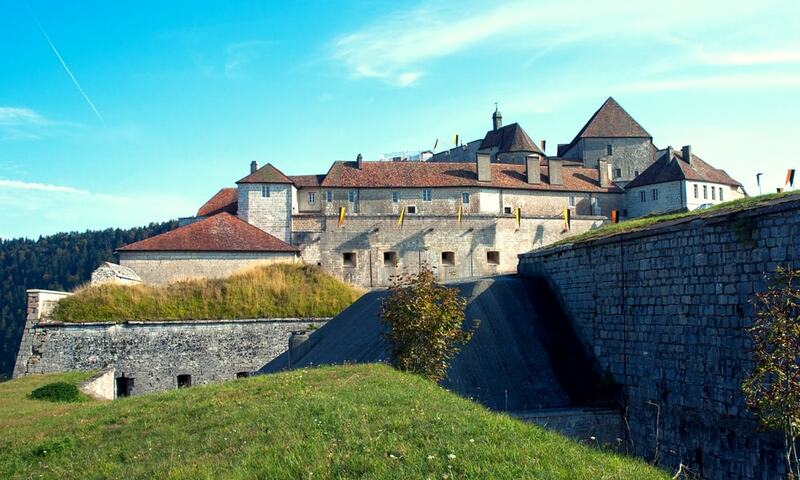 The Fort de Joux or Chateau de Joux is a castle, transformed into a fort, which commands the mountain pass Cluse de Pontarlier. The fortress currently houses a museum of arms that exhibits more than 600 rare weapons dating from the early 18th to the 20th centuries, including a rare 1717 rifle. The castle also has a well which, at 147 metres (482 ft), was once the deepest in France. Cut with a horizontal gallery and partially filled, it is now the third deepest at about 101 metres.